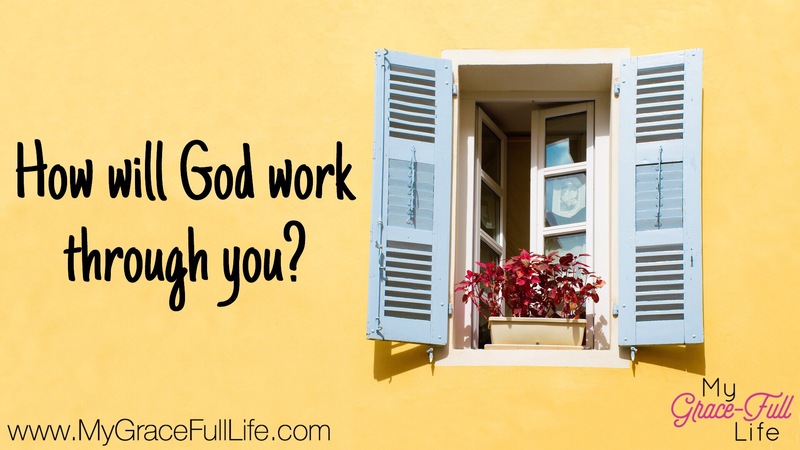 I can’t help but think about the unique, and unexpected, ways God uses us. If you’d have told me 10, even 20 years ago I’d be doing this, I’d have laughed. Writing a prayer prompt every day? Back in high school, there was a person who tried to talk my boyfriend into going into ministry. This assessment was something I found funny to a degree, yet it hurt. But, I go back to Paul’s words. Paul didn’t look to become an apostle. It didn’t matter what others thought or if they saw him as qualified. Plenty were shocked he was doing it, because in his own words, “You know what I was like when I followed the Jewish religion—how I violently persecuted God’s church. I did my best to destroy it.” (Galatians 1:13). We all have a mission, but whether we choose to accept that mission is on us. God won’t force Himself on any of us. We all have a plan He has uniquely designed for us. Don’t worry – if you decline His offer, you won’t ruin His plans. They WILL get done; but you will miss the blessing of the opportunity He puts in front of you if you walk away. Can you imagine if Paul had said no to God? A terrifying thought, given the countless souls that have been saved through his willingness to share the Gospel. When God calls you, I pray you are bold enough to use Isaiah’s words: “Here I am. Send me.” (Isaiah 6:8). Today, as you pray, let God know you are willing. Ask Him to open your heart to embrace His plan, without worry about what someone else thinks. Trust that if He calls you to it, He will equip you with all you need, even if the world sees you as completely unqualified. Next Next post: 9.16.17 Prayer Prompt: Are You Connected to the Word?